London, UK, 15th November 2018 / Sciad Newswire / Pharma Integrates 2018, which took place earlier this week, attracted more than 350 key industry experts to discuss, debate and share insights on critical challenges in the pharmaceutical industry. After the great success of last year, the event moved to a larger venue at the Grange Tower Bridge Hotel, London, UK. 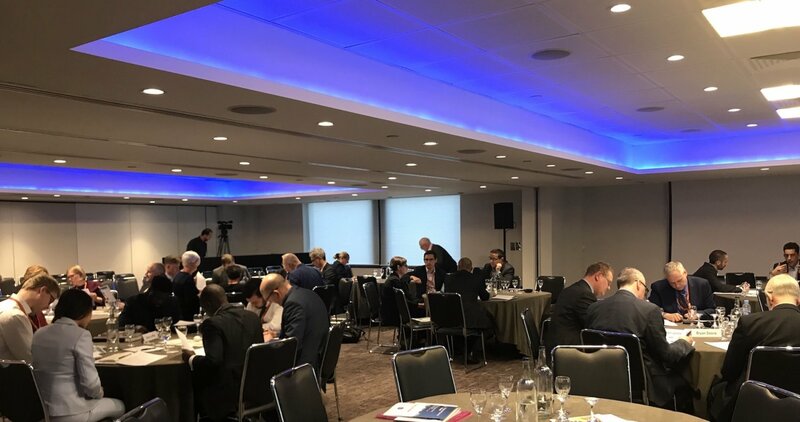 The agenda included key speaker slots, panel discussions and networking events to encourage debate and establish connections between representatives across the entire pharma community. The organisers also brought together people from outside the conventional pharma areas, including tech leaders, IBM, and energy giants, BP. This continues the event’s successful approach of allowing the audience to take other people’s industry perspectives and experiences and relate them to the pharma industry. Nathalie Moll, Director General, European Federation of Pharmaceutical Industries and Associations, kicked off the event by discussing the importance of communication in the world of pharma. She reminded us that in this information era, everyone has access to expert knowledge at their fingertips and that unless we take the opportunity to communicate what we’re trying to do, why we’re trying to do it, and the obstacles we face, someone else will tell the story their way instead. Interviews with both Erik Nordkamp, Managing Director, Pfizer, and President, ABPI and Sir Andrew Dillon, Chief Executive, National Institute for Health and Care Excellence (NICE), further highlighted the need for open dialogue to find solutions to current issues. Erik emphasised the importance of listening to the patient voice, whereas Andrew explained the need for everyone to understand — from the outset — the nature and potential impact of new technologies, such as those that can help the industry become more patient-centric. The panel discussions for the day focused on managing disruption in a turbulent time for pharma, and how emerging technologies are impacting the pharma value chain. Kath Mackay, Director of Ageing Society, Health and Nutrition at Innovate UK, commented that while they are looking to fund disruptive technologies, it’s about more than money, it’s about bringing together the right people to make a change. The theme of collaboration carried on into day two, with key topics including challenging traditional pharma models, the pros and cons of outsourcing, improving the patient experience and the impact of continuous manufacturing. Stuart Dollow, founder of Vermillion Life Sciences, discussed the importance of understanding the value each new partnership can bring to your business. This was reinforced by Phil L’Hullier, Head of Business Development, Europe, MSD Innovation Hub, who added that mutual respect is important in such collaborations and that the industry must see the value and benefit of working together, rather than separately. For David Molyneux, Global Head of Sales and Business Development at Alcami, this flexibility and communication is also key in building useful CDMO relationships. The importance of the patient voice was not forgotten this year. The need for data in the rapidly evolving world of pharma was addressed, with speakers commenting that it is an essential element of improving the healthcare system. Panellists also discussed how to overcome the issue of balancing cost with patient needs. Roma McGuire, Professor of Digital Health and Care at the University of Strathclyde, posed the question: If something is more expensive, but the patient experience is higher, how should that be managed? It is clear that, as it stands, pharma needs to think more broadly about the stakeholders involved and about where care is being delivered. Many of the debates will be available to watch on the Life Science Integrates website from next week. This event was organised by Life Science Integrates.